Use to transfer pattern markings, needlecraft & quiltingdesigns. Use disappearing ink on projects to be completedwithin 24 hours. For best results, use on washable fabric.Not recommended for dry clean only fabrics. 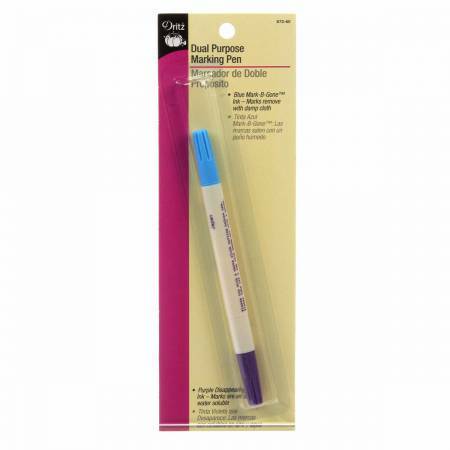 Store pen withcap on and point facing downward.